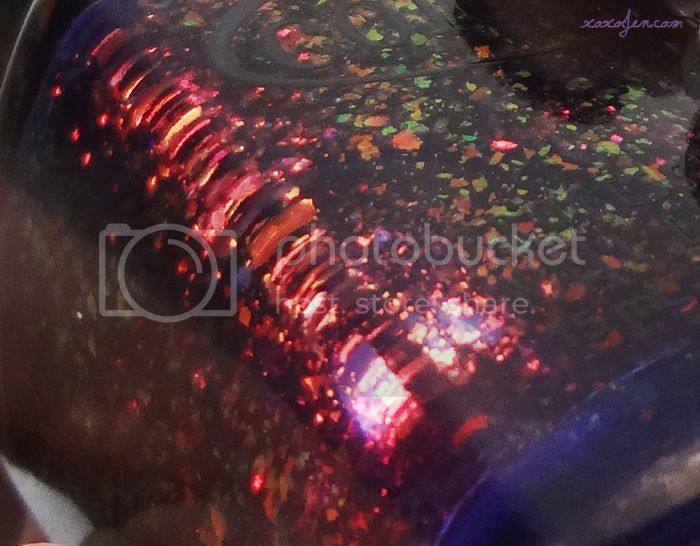 I've enjoyed many Color Club polishes: creams, shimmers, glass fleck, holographic and flakies. The colors in the Girl About Town collection feature a few of these finishes. Flakie polishes are one of my favorite, especially when the flakies shift colors the way this one does. Reminiscent of the infamous Clarins 230 on a larger scale, don't ya think? Just look at those shifting flakes floating in a purple dream! 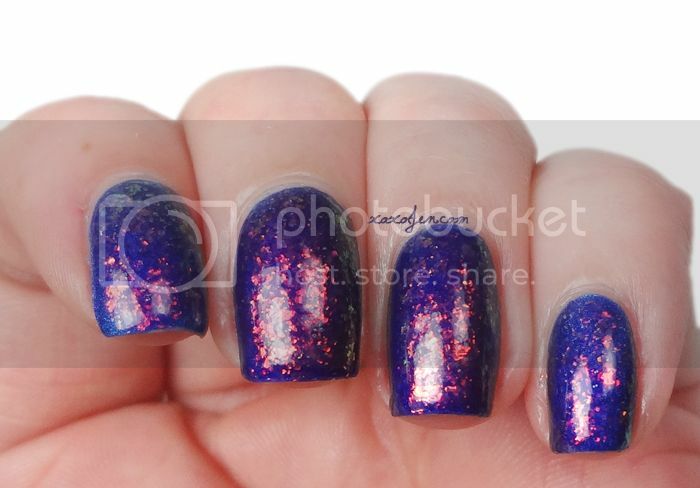 The Uptown is a beautiful iridescent flakie in a blue-leaning purple jelly base. 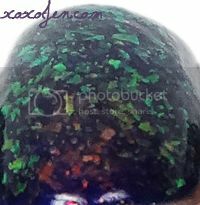 The jelly base is really shiny and squishy on its own, but I like to layer it over an opaque base color. I've layered this flakie over a holographic royal blue polish. The index and pinky fingers feature just one coat of The Uptown while the middle and ring fingers have two coats. In the middle of each nail the flakies look like a bright flame and as they taper toward the side of the nail, they're orange, golden and then finally green. Its pretty magical! If you've been a polish fan for a while now, or even if you're new to it - you may have seen or heard about Nfu-Oh 51, which is a similar flakie and is discontinued. So if you missed it or ran out, The Uptown is an awesome alternative! The flakies in The Uptown seem to be more reflective and more abundant than in 51. This polish also looks great over black and a medium to dark purple to match the jelly base. 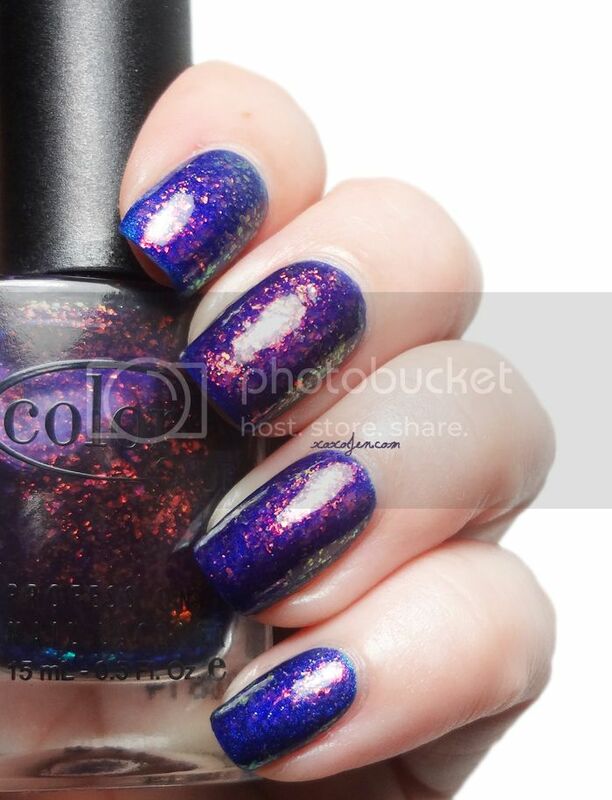 You can find Color Club polish at their online store and follow the brand on facebook. I hope you've enjoyed this post, please share it with your friends. Soon to be mine! <3 Beautiful swatches! 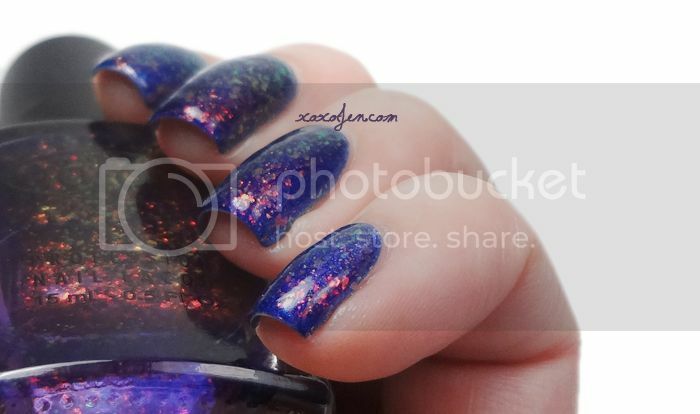 Stunning polish <3 Flakies will never get old for me! Oh me either, love them!